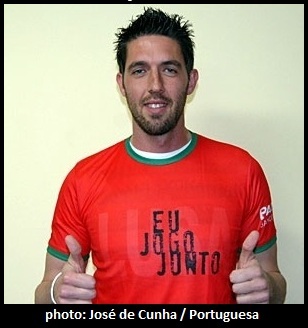 3rd goalkeeper Bruno has been lent out to second division team Portuguesa until the end of the season. That’s excellent news both for Palmeiras and for the 27-year old keeper: hopefully (and quite likely, as he’s an excellent keeper) Bruno will play a lot of games and come back finely tuned when Marcos has retired and Deola taken over the position. Anything Palmeiras wishes the best of luck to you, Bruno! 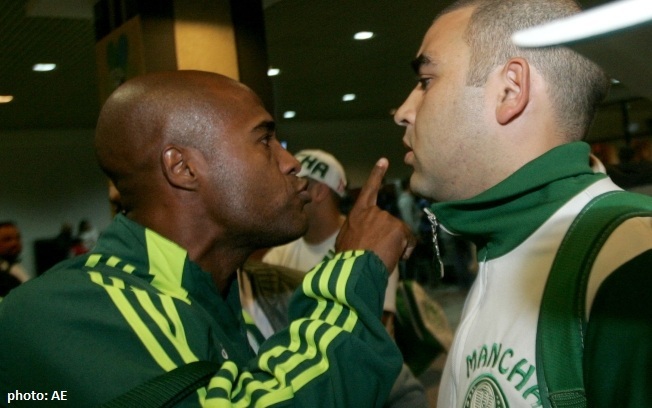 Rapidly turning into a reference point at Palmeiras, Marcus Assunção again made the headlines last weekend, twice defending his comrades against protests and insults from a fraction of the Mancha Verde supporter group. The first incident occurred on Friday, during training. The second, when things threatened to turn ugly, took place at the airport in Porto Alegre, as players were arriving for the Sunday game against Internacional. Again, that same fraction threw insults at Adriano and, in particular, Luan. Assunção stepped in and shielded his teammates, while making sure his message got across to the unhappy bunch. That last sentence was aimed at Wellington Paulista, the centre-forward that nourished our expectations even before arriving, as he at Cruzeiro formed a great attacking sidekick to Kleber, seems likely to leave before even properly starting. Apparently unsatisfied with the bench (for dragging his feet at practice, some say), our #9 might leave either for a Brazilian team or, most likely, Qatar. Time will tell. Whatever happens, one thing is sure. Only players wanting to stay and play at Palmeiras have a chance with Felipão. Speaking of Big Phil: although he spent most of this week in Portugal taking care of personal matters, a few more rounds of the DIS affair (the one that took off with Vinicius, remember?) have been all over the press. The investors did not at all like Scolari interfering and threatened to take action (i.e. remove any or all of the 15 players – most of them youngsters – they have stakes in from Palmeiras). Scolari, not liking being pushed around and committed only to his work and nothing else, said “be my guest” and himself took the first step, removing midfielder Tinga from training. The whole thing has escalated into a heads on chicken race. Palmeiras havn’t much to lose, as most players with links to DIS/Sonda are promissory at best. But what about DIS? Will they be able to place these kids somewhere else? Do they want to? Many questions, few answers. Unfortunately, Tinga got caught up in this mess. Double so, as he apparently has sided with DIS and now is in deeper trouble than he needed be. Scolari has already said that he expects Tinga back in training. Let’s see if the kid grasps this last straw. Only one thing is sure as far as I’m concerned: if it wasn’t for Felipão, I see no one else capable of defending Palmeiras’ interests. On Sunday at 16h, Palmeiras welcome Avaí from Florianópolis. With Danilo already heading for Italy and Kleber having felt muscle fatigue during yesterday’s training, Scolari is likely to opt for Amaro in the defense and Wellington Paulista up front with Adriano. Is this the chance WP has been waiting for or is he already dreaming of the big bucks abroad? We’ll know on Sunday, the day that also might mark the return of Rivaldo on the left flank, substituting injured Gabriel Silva.